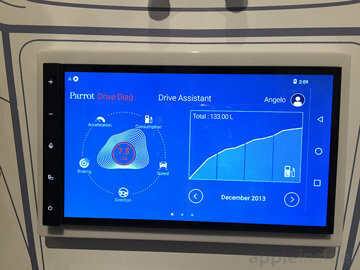 Currently referred to by its RNB6 code name designation, Parrot's forthcoming automotive infotainment system supports both CarPlay and Android Auto, though the first-party interface closely resembles Apple's solution. Along with the usual trappings found in any good head unit —multi-source audio, built-in equalizer and audio effects and smartphone connectivity —RNB6 interfaces with its host car to control HVAC systems and even OBD-II for onscreen driving profiles and diagnostics. 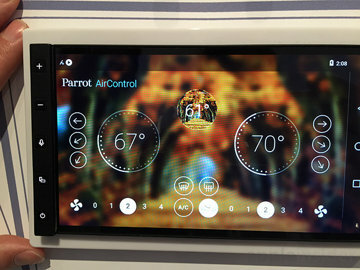 Parrot's assortment of software goodies puts a focus on safety with voice recognition, the company's specialty, in addition to Siri and Android Auto Voice. The unit can also record front-facing HD video using an in-car camera called the Parrot DashCam. As for iOS compatibility, functions like mapping are processed onboard, not just mirrored. For example, when a user opens Maps on RNB6 and pans around, the corresponding map of iPhone does not move. 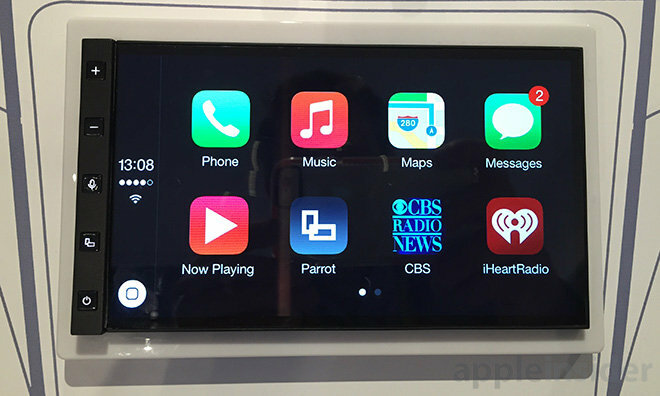 Further, users can switch between CarPlay and Android at the press of a button. The RNB6 will be out by the end of 2015, but pricing has yet to be announced. 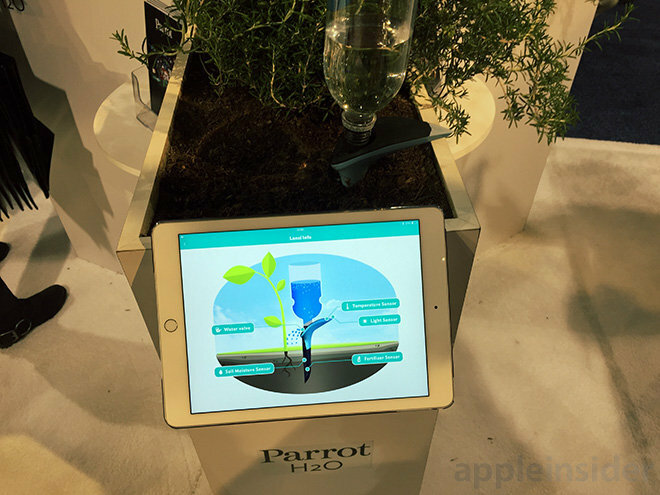 Parrot's H2O is made for plant lovers who are constantly on the go, or frequently forget to water their potted friends. With a design inspired by nature, H2O contains second-generation sensor technology for measuring soil moisture, temperature, sunlight, fertilizer and more. Powered by a single AAA battery, the device can continue operating for six months. The killer feature here is a built-in irrigation system that automatically waters plants at different times of the day based on environmental factors, thus minimizing waste. It accepts most standard water bottles from half a liter to two liters, offering up to three weeks of autonomous watering. An accompanying app provides information on more than 8,000 plants, as well as cloud-based analytics for monitoring plant health. The device gathers data from its surroundings and sends it off to an iOS device via Bluetooth. H2O is slated for sale later this year at an as yet undetermined price.